Vietnamese iced coffee is delicious paired with Banana Tree's Vietnamese food. Get one at your favourite Vietnamese restaurant in Soho or find the recipe here. The ritual of coffee is a beautiful, magical thing. From the gentle sound of the water boiling to the rich, fruity, chocolatey aroma that wafts from the steeped grounds, coffee brewing is a deeply sensory experience that drives true espresso enthusiasts to obsession. Still, the flavor of coffee isn’t for everyone – naysayers often suggests that it’s too bitter or acidic for their liking (crazy, we know). Fortunately, the Vietnamese have invented a coffee drink that will satisfy the tastes of both coffee fanatics and cynics alike. 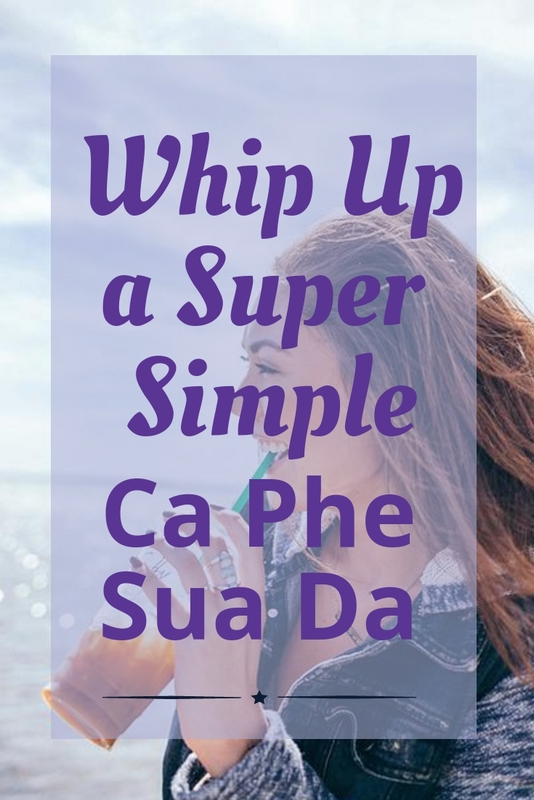 Ca phe sua da, literally ‘coffee, milk, ice,’ is easy to prepare and even easier to drink. It’s made by combining a rich dark roast coffee with sweetened condensed milk over ice, resulting in a beverage that tastes more like a milkshake than your typical morning brew. Coffee skeptics needn’t be concerned about bitterness or acidity when it comes to ca phe sua da: the coffee lends just enough of its flavor to give the drink complexity, but the sweetened condensed milk adds a creamy hit of sugar that really steals the show. Plus, serving it over ice further mutes any harsh notes from the coffee – it’s science! 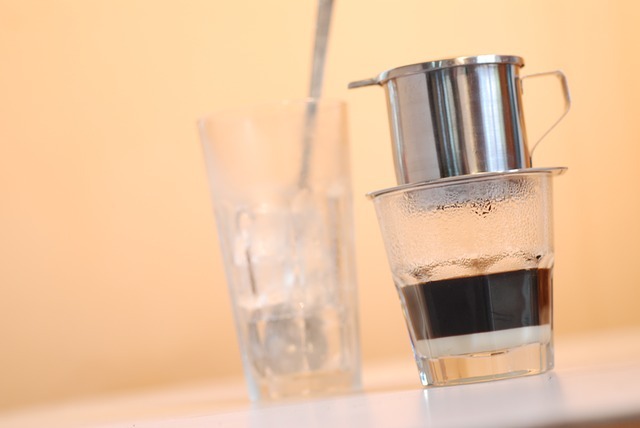 But just because ca phesua da is ridiculously drinkable doesn’t mean that coffee snobs can’t enjoy it, too – the beans used to make a traditional Vietnamese iced coffee are undeniably strong and aromatic, and the sight of sweetened condensed milk gracefully swirling through a glass of thick black coffee is enough to bring a tear to any barista’s eye. Ca phe sua dua is excellent any time of day. Its buzzy sweetness makes for a great afternoon pick-me-up; true coffee lovers have been known to sip it for dessert in place of a decadent pudding. However, our favorite way to enjoy this special drink is alongside an array of authentic Vietnamese dishes like the ones at Banana Tree. There’s nothing like slurping a steaming bowl of pho and cooling down your mouth with a Vietnamese iced coffee between bites. While you aren’t likely to find this drink in your neighborhood coffee shop, it’s worth a trip to your favorite Vietnamese restaurant in Chelmsford to order one. If you’re really feeling adventurous, you could even roll up your sleeves and try your hand at making ca phesua da for yourself. The classic preparation for ca phesua da calls for the phin filter, a Vietnamese drip coffee maker similar to a tiny French press. You can use whatever coffee maker you have on hand a pinch, but for the full experience, look for a phin filter. We also recommend choosing a Vietnamese or French dark roast. You want a coffee strong enough to sing through the sweetness! Once you try ca phe sua da, it’s likely to become the only thing that’s able to get you out of bed in the morning – though you may just find yourself craving some pho for breakfast, too. In a glass, stir together the brewed coffee and the sweetened condensed milk. Pour into another glass filled with ice, serve and enjoy. I think you can experiment it. I understand there are some people who are not into sweetened milk. I have actually made this before and it is SO GOOD. I had to actually stop buying sweetened condensed milk because I was drinking so many each day. Yes because too much sweet is unhealthy.